Darren Lockyer is one of the modern-day greats of Australian Rugby League, becoming only the second player in to win the Golden Boot award twice. Lockyer retired as the Brisbane Broncos highest scorer and most-capped played. Lockyer captained the Brisbane Broncos, the Australian Kangaroos, and the Queensland Maroons. 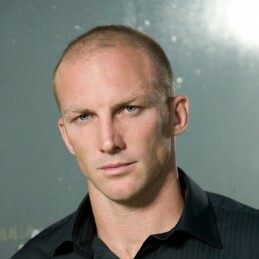 Lockyer spent his early career at full-back but moved to five-eighth in 2004. The controversial move would see him become the second player, following former team-mate Allan Langer, to captain his team to a National Rugby League premiership, a State of Origin series and the Tri-nations series in the same year. After leading the Kangaroos to victory in the 2011 Four Nations competition, Lockyer retired from play and took up a career in the media. He now commentates rugby league broadcasts.